According to the UNWTO (United Nations World Tourism Organization),there were over 922 million international tourist arrivals in the world in 2008, the amount can more than double if you include business arrivals. Unfortunately a great part of these trips include some sort of incident. Have you ever wondered what could go wrong during your trip? You think you are immune to issues while you travel? Incidents can go from simply losing your luggage to serious health issues or natural disasters. More than 1 million pieces of luggage were lost, damaged, delayed or pilfered by U.S. airlines from May to July, 2007. The Australian Government handles over 25,000 cases involving Australians in difficulty overseas every year. This includes over 1,200 hospitalisations, 900 deaths and 50 evacuations of Australians to another location for medical purposes. Unfortunately I was the latest addition to the statistics. After a long and tiring 30+ hour work trip, I went through one of the most annoying travel experiences a traveller can go through: I lost both my passports and was in the countryside of a foreign country without identification or a way out. One could say that “these things happen”, however it is a pretty serious situation that can have very serious consequences. Later, I was surprised to find out that there is an average of about 600 identified cases of fraud to Australian passports every year and some 15000 passports being lost/stolen. The Australian government keeps a Document Alert List (DAL) database within the national Movement Alert List (MAL) system holding information on over 1.6 million problematical travel documents such as lost, stolen or fraudulently altered passports. I have to admit that this information made me feel a bit better as I am not the only traveller to lose my passport overseas. However the statistics didn’t help me to solve my problem. I was very lucky to be able to rely on the FANTASTIC support of both Brazilian and Australian consulates who were friendly, helpful and supportive to ensure that I could go back home the safest way and as quick as possible. 1. First one is pretty obvious but it never hurts to reinforce: Don’t lose your passport! EVER! Keep it close and protected. Avoid keeping it your back pocket as it can fall or be stolen without you noticing. Leave it in a protected place and create your own routine to get it in and out. For you to have an idea of the incentive, a passport can be sold for up to A$10k on the black market. 2. Let the local Embassy know that you are travelling to that foreign country, for how long and where you will be staying. A simple e-mail or phone call is normally sufficient and, in case of an emergency such as a natural disaster, they can not only find you and provide support but also let your loved ones back home know that you are safe. Regardless of what nationality you are, it is very easy to find out Embassy contact details on the internet. 3. Get insurance. Again: GET INSURANCE! Medical emergencies are the most obvious situations where you would need this type of support, however even losing your passport can be very troublesome and expensive. You will incur in additional costs with accommodation, phone calls, flights which are very likely to be substantial. This can easily reach thousands of dollars while it usually only costs you $100 or so to get insurance. Do not rely only on the insurance of your credit card – if you want to do so make sure you check the conditions and what type of cover is being offered. There is nothing worse than being caught off-guard. 4. Do your research. While doing your travel planning, check official travel advice from your Government. The Australian Government maintains a very good website called smarttraveller.org which provide details about safety and special conditions Australians need to be aware of when in that country. The Brazilian Governement also has a website (check) however it is not as good as the Australian one. 5. If you have dual citizenship, consider carefully which one you use to get into a country: remember that what you use to get in is what you need to use to get out and in case of an emergency you will normally be treated by the nationality that you used to get in the country. 6. Give yourself plenty of time at the airport. I appreciate it is terrible to wait but it is much more likely to lose your stuff when you are in a hurry. Also, airport security procedures take time and you need to make sure you do comply with all the requirements – especially immigration. As a rule of thumb, arrive at the airport a couple of hours before the flight if it is international and at least an hour if you are flying domestic. Make sure you are in front of the gate at least 25 minutes before your scheduled departure. If you are keen to shop on duty free – arrive earlier and shop with time. You can always use time to compare prices and, who knows, find a bargain? Travel can be a great experience – a great opportunity to relax and enjoy or just to get things done if it is a business trip. When traveling be careful and travel safe. You don’t want to ruin your holiday or business trip because of a silly mistake. The famous American scientist, inventor and statesman Benjamin Franklin (1706-90) once said: “‘In this world nothing can be said to be certain, except death and taxes”. Since the introduction of the Pay-As-You-Earn scheme, developed by the British civil servant Sir Paul Chambers (1904–1981), tax revenues have raised substantially around the world as employers have started collecting taxes directly from employees from their wages and passing them directly to governments. Most citizens have no option but to comply, and governments use tax benefits as a way to stimulate certain areas of the economy which would generate growth and benefit the country according to the policy-of-the-day of the current government. The Stones are tax-savvy. Shouldn't we all be? 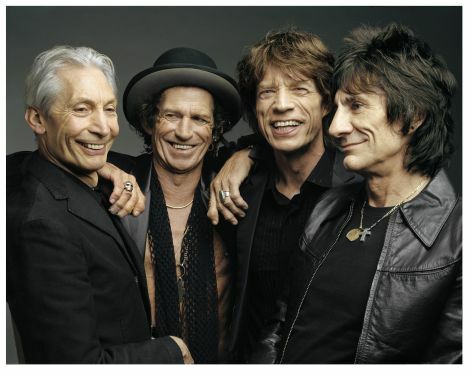 An interesting curiosity is the band Rolling Stones recognising this and fighting back. Guitarist Keith Richards said recently that “The whole business thing is predicated a lot on the tax laws”…“It’s why we rehearse in Canada and not in the U.S. A lot of our astute moves have been basically keeping up with tax laws, where to go, where not to put it. Whether to sit on it or not. We left England because we’d be paying 98 cents on the dollar.” This might not be an exaggeration and Governments are constantly trying to find ways to make sure they collect as much taxes as they can. However there is more than one way to do things. Countries like Singapore and Dubai have very favourable tax regimes in order to encourage investment. Even China does that in Hong Kong. They rely on foreign revenues and revert it in infrastructure and development – creating an upward spiral of growth. On the other hand, countries like Australia and the United States try to make sure that they hold on to as much tax revenue from their ordinary citizens as they can. Australia for example, assesses income tax for their Citizens on worldwide revenue – if you are Australian and have revenues in other countries, even if it has nothing to do with Australia, you must declare it and pay the tax man. This can be a contradiction to the principle of income tax, as the revenue might not have been generated or related to anything in Australia. Although there are mechanisms in place to avoid double taxation, I personally believe this to be perverse and unfair – a country should tax revenues from its citizens but should only be allowed to do so if it contributes to it. Naivety apart, governments just want to maximise their return. In order to achieve that, different rules apply to organisations (i.e. companies). While an individual is often taxed total (with some deductions permitted), corporate income taxes often tax net income (the difference between gross receipts, expenses, and additional write-offs) which are most of time audited by independent parties and declared on stock exchanges. It all has to do with incentives. According to Steven Levitt, who wrote the best seller Freakonomics there are three types of incentives: moral, social and economic. Although the tax man doesn’t want us to know that, the ability for them to audit our revenue is limited and that is why they withhold our tax in advance from individuals. In regards to companies, heavy penalties apply if they misreport tax – so they feel compelled to comply. Also, the fact that most organisations need to report their net revenue to stock exchanges makes it harder for them to misreport. 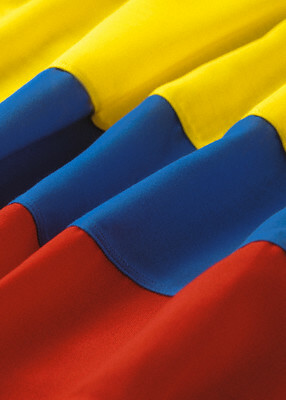 It’s been almost ten years since I have been to Colombia. Last time was in 2003, when I came to Medellin to deliver of a project for a Unisys client. Although I didn’t have much chance to explore the city, I was delighted by the relaxed and friendly nature of the Colombians, not to mention the fantastic coffee and food. Parrillada, a local latin roast, is well worth trying. This time I came to work in the countryside, in the small village called Montelibano, however I was able to enjoy Bogota on my way in and out which proved to be an amazing experience. Bogota is the capital city of Colombia, as well as the most populous city in the country, with an estimated 8 million people living in it. It is a fantastic city; however it still has a bad reputation from the last century, when it was considered to be one of the most violent cities in the world. If you add issues with security in the countryside, where paramilitary groups still operate and fund themselves through drug trade, you must be very careful when going around. However, during the last 10-15 years, the government has invested heavily in improving the security situation and manage the bad reputation. I have to admit I was impressed by the amount of police and military in the street and, although I was always careful (same I would be in Brazil) I felt relatively safe while going out in DC. Colombia is a great place for tourism and I would recommend it as holiday destination, especially if you would consider places such as Cartagena and Santa Marta. 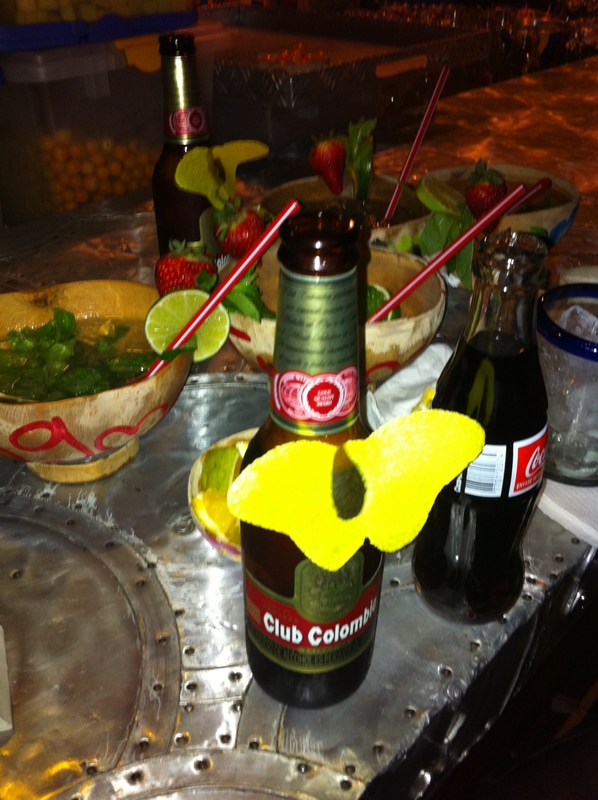 However, this post is about recommending a place I loved in Bogota. Andres Carne de Res is a restaurant/nightclub in Calle 82 (apparently there is a better version in Chia, which I didn’t have a chance to go). It has amazing food, beautiful people, great music, friendly and helpful staff. The restaurant has a very informal layout and serves the most amazing meat. Their mojitos are served in a bow decorated with Colombian drawings and the abundance of fruit (they serve you coconut instead of peanuts) in all drinks is a very interesting curiosity. 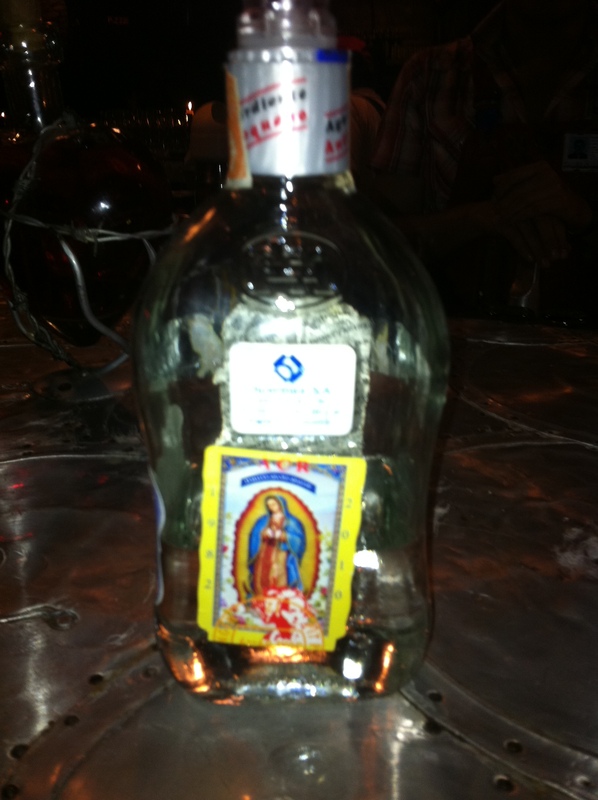 Colombians love to drink, and I did try their “aguardiente”, a sugar cane rum-like spirit which I wasn’t brave enough to go past the first shot. 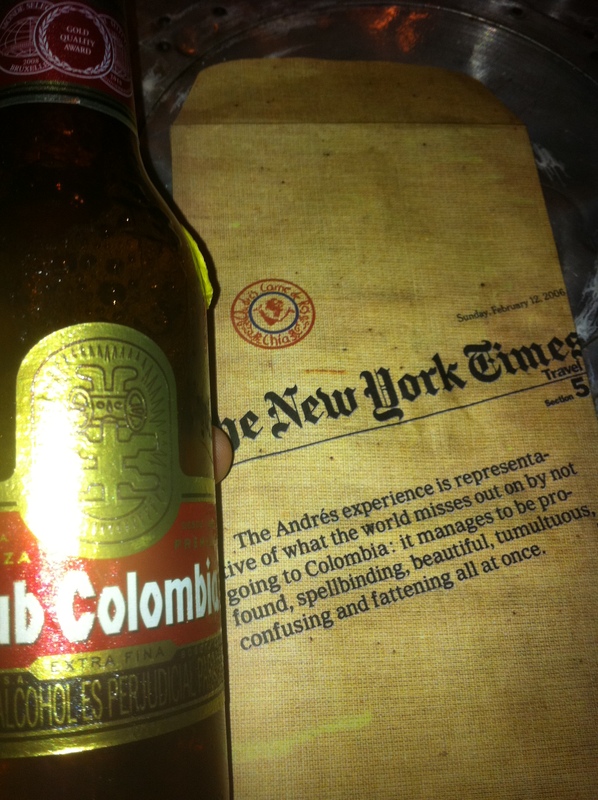 So if you ever have a chance to come to Colombia, make sure you head there for a good night in town. It had to be a viral… smart advertisement companies are using the web to come up with better way of selling products. And today I found that that “Bondi Got Flipped” video I enjoyed is just another viral. They have created a online community where people with their Mino’s can upload their videos and share content online. If you want to find out more about their product and the online community click here. Below the official video which got released a few weeks after the first one. I have been flirting with the idea of attending an MBA. The benefits for someone to attend such course at a top business school far outweigh the cost (i.e. it is a great investment). It would not only boost your career but provide an opportunity to focus on a different area in line with your life plans. The admission process for a decent business school has different criteria depending to where you are applying. As a rule of thumb, most schools require some sort of reference letter and demonstration of academic and professional excellence (e.g. transcripts and your CV with real achievements). All this evidence is required to measure your aptitude to succeed academically in graduate business studies. The most reputable business schools in the world require you to do specific tests to assist that evaluation. One of the most relevant ones is the Graduate Management Admission Test (GMAT). The GMAT is computer based exam which takes advantage of adaptive techniques to evaluate student performance. By adaptative I mean that the test “learns” from your answers so the next questions will become harder or easier depending on how well you are performing. The exam mainly focuses on logic, mathematics and English and it is delivered in test centres pretty much anywhere around the world. You can find a list of authorised test centres here, including Brazil, Singapore and Australia. The exam is divided in three areas: Analytical Writing Assessment, Quantitative Section and Verbal Section and the examinee has four hours to complete all three. Scores are valid for five years from the date the test taker sits for the exam to the date of matriculation (i.e. acceptance, not until the date of application). The maximum GMAT score is 800. Over the 3 years concluding in October 2009, the mean score has been 538.5. However, if you want to attend one of the top Business Schools, you would probably need something between 600 to 700. There are no minimum requirement for schools such as INSEAD and Harvard, however mean INSEAD score was 703 in 2007. In the Harvard Business School 2009 class the lowest GMAT score was 700 and highest was 740. Where should you buy it? Try Mustafa*! Singapore has some unique experiences and Mustafa Centre is definitively one of them. Imagine a store where you can find everything from the latest electronic gadget, groceries for the week, sports clothing, brand new luxury and not so fancy watches, office supplies and even intimate toiletries. Right, I know you have also been to a shopping mall before however it is not exactly like Mustafa. The shop looks like a 4 storey 24×7 flea market spread across 2 blocks of Little India. Traffic in front is chaotic and, if you have a backpack or big bag, you are required to either leave it at the door or wrap it with hellerman tape. With shelves full of merchandise that almost fall over you, it is crammed with people from all nationalities trying to find a good bargain. There doesn’t seem to be much logic on how merchandise is displayed throughout the store. I wasn’t able to find sense in having the electronics department right in front of groceries and shoes. Sales staff is not that friendly and knowleageble of the products and if you are looking for electronics, don’t expect to have someone at your service explaining what the differences between product TX47a and TY48 are (try Funan, close to City Hall MRT, if you are looking for electronics) Also, not sure if it was just bad luck, but there was a lot of people with strong BO. Couldn’t figure why as the shop has a pretty good deodorant section. However I have to admit: if you do your homework, know what you want to buy and don’t mind crowded places then it is actually a good shopping experience. Prices are generally low (not everything is “dirty cheap” as some people would say to you) and you can find a few bargains around the shop. Also, I found the informal “supermarket-like” atmosphere of the shop really care free as I could walk through the aisles and look for the goods I was after. It is really different shopping experience which is definitively worth a try (at least once!). Shopping at Mustafa has made it to my “list of things to do in Singapore”. 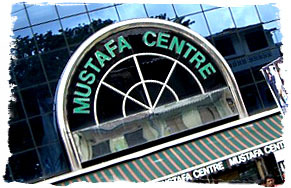 Mustafa is located at 145 Syed Alwi Rd, Singapore 207704, Singapore Tel: 65 62955855. So do you know what that this Bondi thing was all about? Are you aware of the new business models which are now available on the web? After a stimulating discussion with some work colleagues last night, I was once again reminded that there is always much more happening on the web than one can keep up with. While the media focus on teenagers spending a large amount of unproductive time on Facebook and celebrities positing uninteresting twitter updates, there are a lot of new business models and breaking of old paradigms on service delivery happening. One great example is the number of marketplaces which are staring to blossom. They function in a very similar way to eBay, where independent sellers can offer their products and are evaluated by the buyer community. If you are a reputable seller then it should not be risky to buy from you. Let’s take a look at rentacoder.com for instance. If you need a programmer to develop software to a specific need, you can go to the website and post your program or problem. Some of the 250k coders from around the world which subscribe to the website will send you their bids for delivering the work. You can review the bids and each bidder’s resume and reputation online. When you’re ready to make your decision, you can hire your personal, expert, coder with just a few clicks! Posting a bid request is free, and you would not be under obligation to accept any bids. Once the bid is accepted, there is a requirement to put the payment into escrow which will be released to the coder once the work is completed according to the original specification. If there are any problems (apparently there are not many according to the website forum) an outside party to arbitrate is available. Marketplaces like this are supported with an infrastructure which includes technology, communication, framework for evaluation of reputation and comparison and payments and which is quite efficient and has been proven over the about 5-10 years in which the concept has been maturing. As far as payments are concerned, PayPal is a very interesting example: it started as an alternative to old EDI transactions offered by banks and now is a “de facto” way of transferring money on the web. Another commonly used alternative are, of course, credit cards. There are several statements of misuse and fraud using credit cards, not to mention exchange rates and fees, but there is an efficient model for treating disputes established by the bank and a strong campaign to maintain the trust ensures that consumers continue to use credit cards on a continued basis for internet payments. – Established virtual presence (i.e. an registered company with address, phone, fax but without any employees or offices) on the US, UK, Singapore and Australia. A way you could do this is using skype-in to have local numbers in over 25 countries. With MyUS you can have an address in the states and they will forward your mail to wherever you want in the world. eOffice allows you to do the same and hire an office or have virtual working rooms in the UK. – You can hire people or programmers to develop a webpage and an ordering system through marketplaces such as rentacoder.com or DesignFirms. – If you have a publishing business for example, you can distribute a pdf book through the web and get it printed and delivered on demand. Lulu is a website based on the UK which offers exactly that for a fee. These are just examples of how you could set up a proper businesses using these new online tools available. There are much more different and interesting stuff out there (let me know on the comments section if you have suggestions!). More than ever: if you have an idea or a product that everyone wants there’s never been a better time to put it out there. As some of you might know I have been living in Singapore and will stay here for the next 5 months. It is a very exciting professional opportunity with an Accenture client and which will also allow me to experience South East Asia and enjoy all the interesting things the region has to offer. I still live in Sydney though, and will be home at least once a month to put the affairs in order and see my good friends. The Republic of Singapore is city-microstate located in the south of the Malay Peninsula. It is an island approximately 10 Km2 positioned very close to the equator, consequentially having a very hot and humid climate. Singapore used to be a British colony and the hub of the British empire in South East Asia. The region was occupied by the Japanese during WWII and returned to the British when the war was over. The state became independent in 1963 and a republic in 1965, joining the Commonwealth and the UN straight after that. Since independence, Singapore’s has progressed to be one of South East Asia’s most impressive cities. The country has a very modern economy based on strong trade, education and urban planning. A strong centralised government provides the stability so foreign investment is abundant and assists driving growth. Many global organisations operating in South East Asia have their headquarters in Singapore, taking advantage of fiscal benefits, great infrastructure (Singapore ‘s port is one of the busiests in the world) and skilled English speaking manpower. The population of Singapore close to 5 million people. The city is extremely diverse with Chinese people forming an ethnic majority and large populations of Malay and Indian. English, Malay, Indian, and Chinese are the official languages. I will let you know more as I discover more! Do you also hate telemarketers? I don’t think we have this type of problem in Australia, specially with the Spam Act, but in the US the issue with unsolicited calls seems to be pretty bad. While uploading some videos to Youtube I came across to this video, showing how one guy got back at them.